So why call something that's like a squished meatball the name of a sweet, cake-like dish? Sometimes it's easier to understand something that's visual. I'm sure somewhere down the line a conversation between a granddaughter asking her Korean grandma how to explain what jeon was resulted in "just tell them it's a pancake". Cut off the roots of the green onions, then dice into small pieces. Peel and mince the garlic. 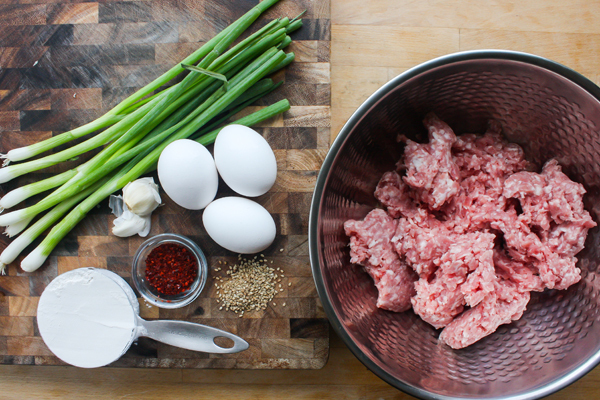 Combine the ground pork, green onions, garlic, gochugaru and 1 egg. Roll about a tablespoon of the mixture in your hands, then flatten to about to about an inch diameter. 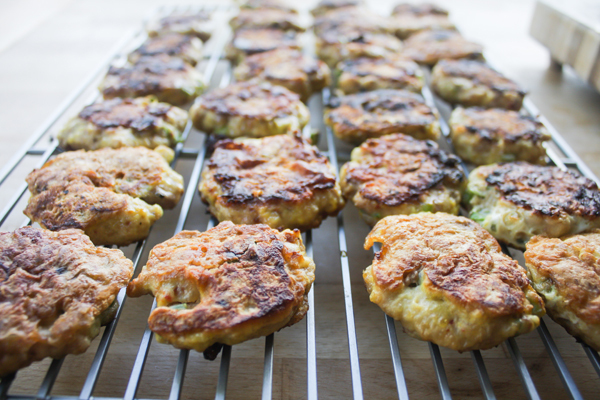 Put these in the refrigerator for about 30 minutes, up to 2 hours. Heat your skillet to medium heat. Add oil if needed. Whisk 2 eggs into a bowled plate. Put the flour in another bowled plate. Cover one of the pancakes with flour, shake off the excess, then coat in the egg. Put immediately in the skillet. Repeat until the skillet is full without the pancakes touching each other. Fry about 5 minutes on each side. Put the pancakes on a cooling rack and serve with soy sauce and vinegar dipping sauce. -To make this into a Whole30 recipe, just take out the flour and swap coconut aminos for the soy sauce. 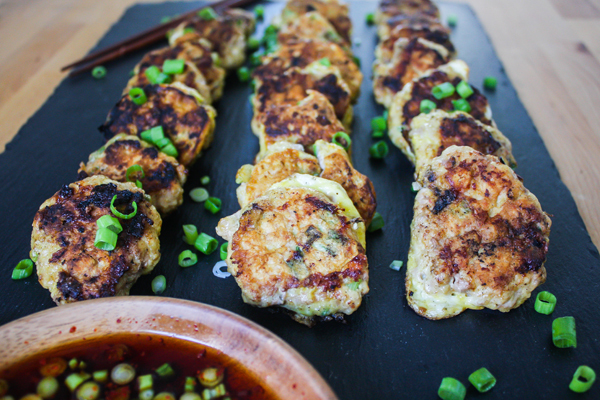 - Scroll to the recipe on the Kimchi Pajeon post to find the ingredients for the dipping sauce. - You can substitute the ground pork for ground beef. Add a pinch of salt, since it's not as salty as pork.